"Adventure doesn't come any bigger than this." Willow is a fantasy adventure filled with all sorts of creatures ranging from bumbling brownies to ogres and trolls. The adventure begins when a dwarf named Willow finds a human baby floating in the stream. There is a prophecy which states a child will be born who will aid in the downfall of a powerful evil sorceress. Despite warnings from the people in his village, Willow chooses to keep the baby and take it before the village council. The council allows Willow to choose a band of people to go with him on a journey to return the baby to the humans. As Willow and his troop set out on their journey, they encounter a human man imprisoned in a cage hanging from a tree. He pleads with them to show mercy on him and let him out. It turns out the human is a renegade soldier named Madmartigen who also has a passion for the ladies. Willow decides to trust Madmartigen and sets him free in exchange for his help in getting them to a human town where they can leave the baby. In the meantime, the evil sorceress has troops of her own out scoring the towns and villages looking for the special child. The sorceress also has a daughter who leads a team of soldiers searching for the baby. Along the way, the group of dwarfs and Madmartigen encounter the evil soldiers and get captured. They also pick up a pair of brownies who possess a powder for making people fall in love. In a drunken state, the brownies accidentally release the powder on Madmartigen who instantly falls in love with the sorceress's daughter. Willow receives visions from a woman named Cherlindrea. In the visions, she tells Willow he must protect the baby at all costs. She also tells him of good sorceress named Raziel, who is being held captive and needs Willow to rescue her so she can help him. 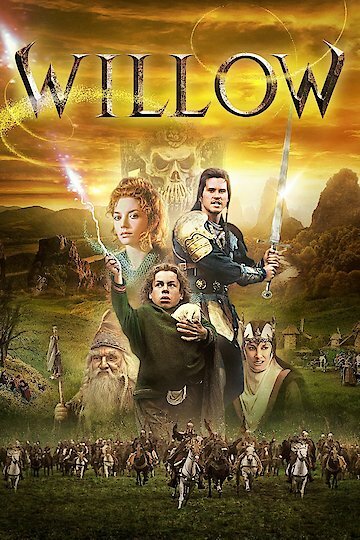 Willow is currently available to watch and stream, buy on demand at Amazon, Vudu, FandangoNow, iTunes, YouTube VOD online.